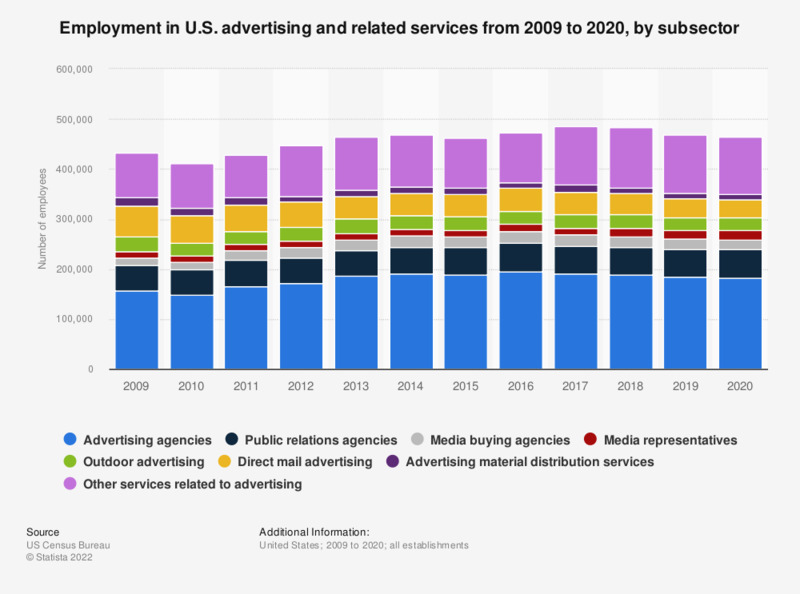 The statistic above presents employment data from the U.S. advertising and related services industry from 2009 to 2016, by subsector. In 2016, more than 194 thousand people worked at U.S. advertising agencies. Paid employment consists of full and part-time employees, including salaried officers and executives of corporations. Included are employees on sick leave, holidays, and vacations.